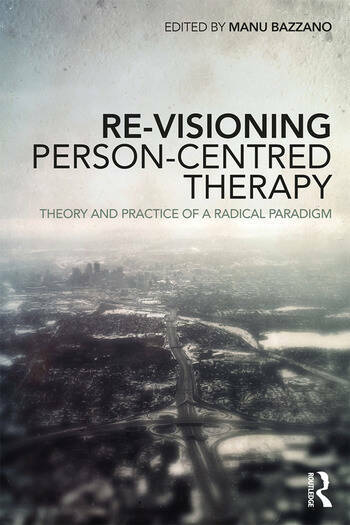 By exploring various ways to assimilate recent progressive developments and to renew its vital links with its radical roots, Re-Visioning Person-Centred Therapy: Theory and Practice of a Radical Paradigm takes a fresh look at this revolutionary therapeutic approach. Bringing together leading figures in PCT and new writers from around the world, the essays in this book create fertile links with phenomenology, meditation and spirituality, critical theory, contemporary thought and culture, and philosophy of science. In doing so, they create an outline that renews and re-visions person-centred therapy’s radical paradigm, providing fertile material in both theory and practice. Shot through with clinical studies, vignettes and in-depth discussions on aspects of theory, Re-Visioning Person-Centred Therapy will be stimulating reading for therapists in training and practice, as well as those interested in the development of PCT. Manu Bazzano is a psychotherapist and supervisor in private practice. He has studied eastern contemplative practices since 1980. He is the author and editor of many books, including Zen and Therapy, After Mindfulness and Nietzsche and Psychotherapy. A visiting lecturer at the University of Roehampton, London, he facilitates workshops and seminars internationally. He is editor of Person-Centered and Experiential Psychotherapy and associate editor of Self & Society.